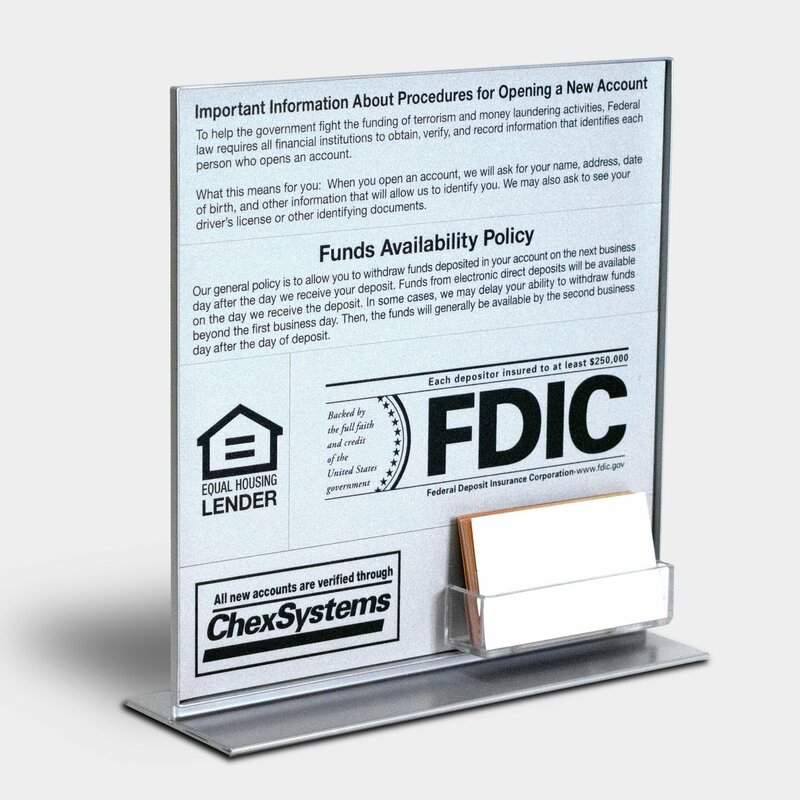 Declutter your bankers’ desks with our Personal Banker Display. 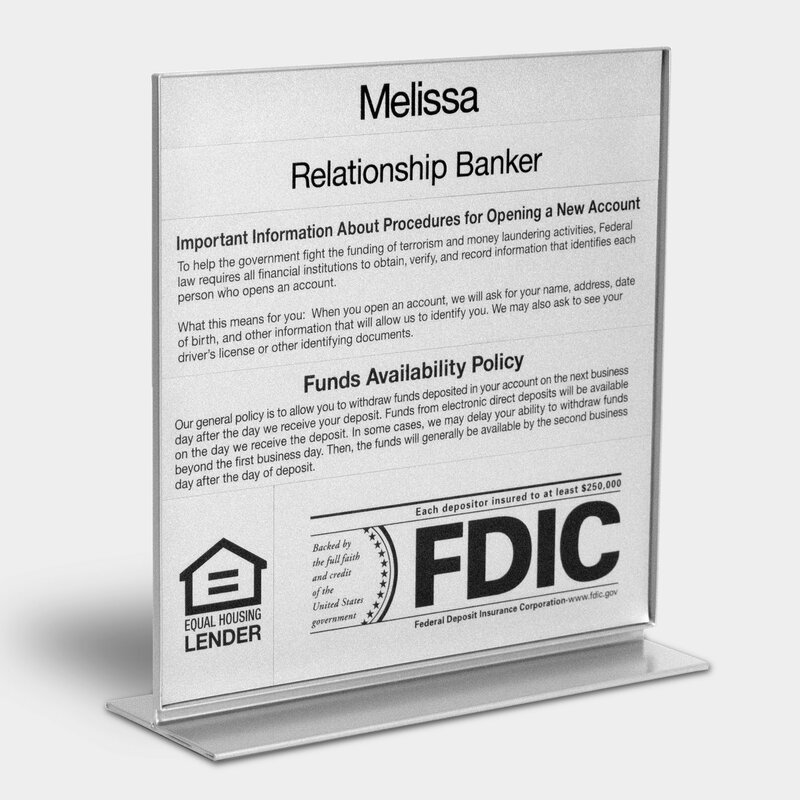 Declutter your bankers’ desks with our Personal Banker Display. 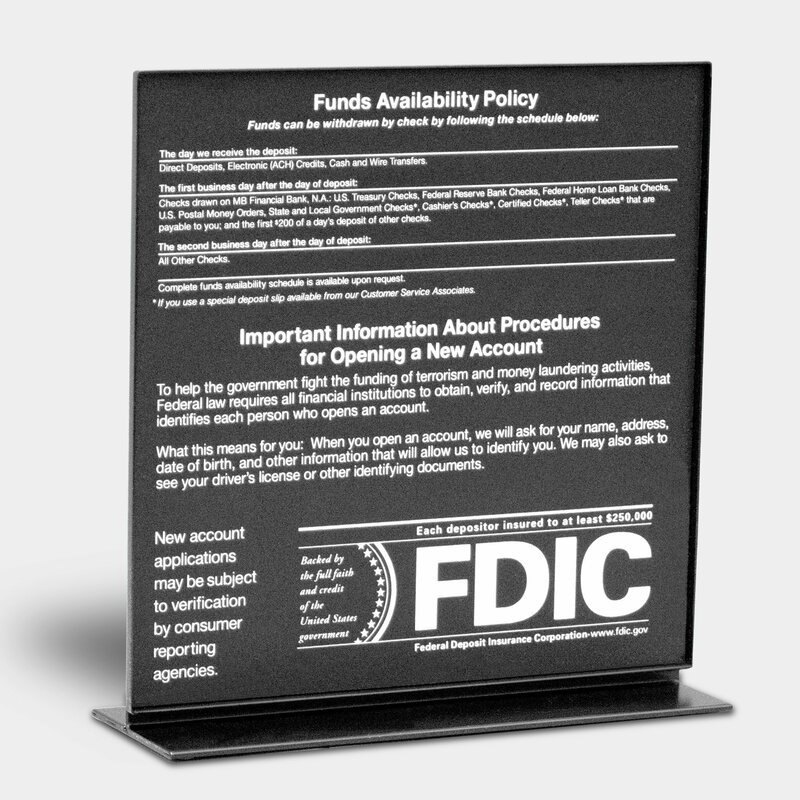 Our display incorporates the banker’s name and mandatory regulation information such as; FDIC, FAP (Funds Availability Policy) that is required at the personal bankers’ desks. 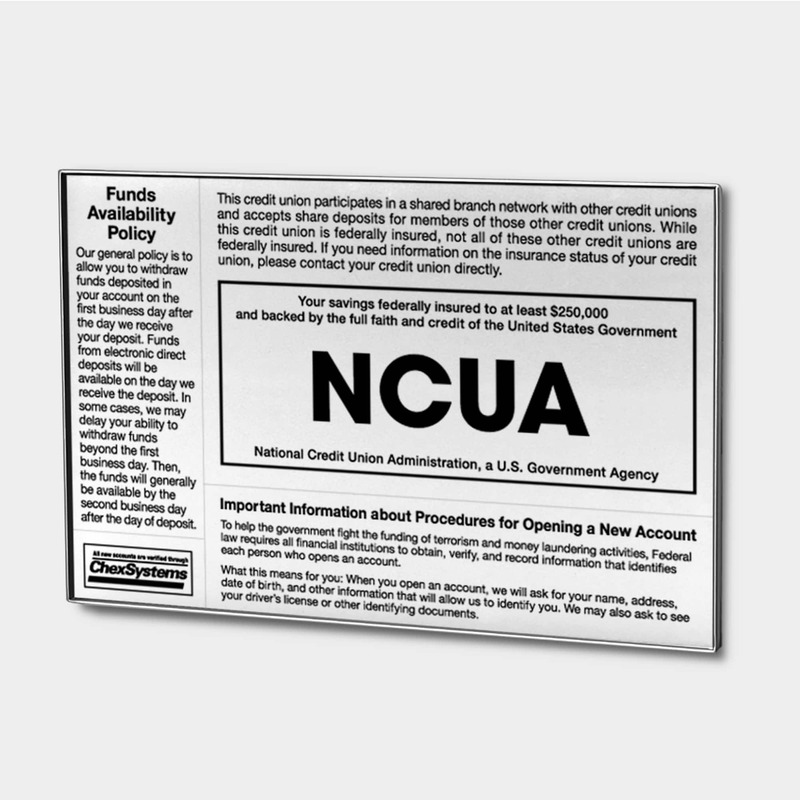 Each piece is a separate component that can easily be changed. 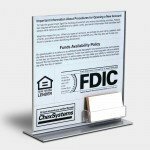 Our patented magnetic component system fits together so precisely, the system appears as one piece. 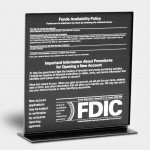 The components are sub-surface printed on matte finish polycarbonate plastic with magnetic backing. 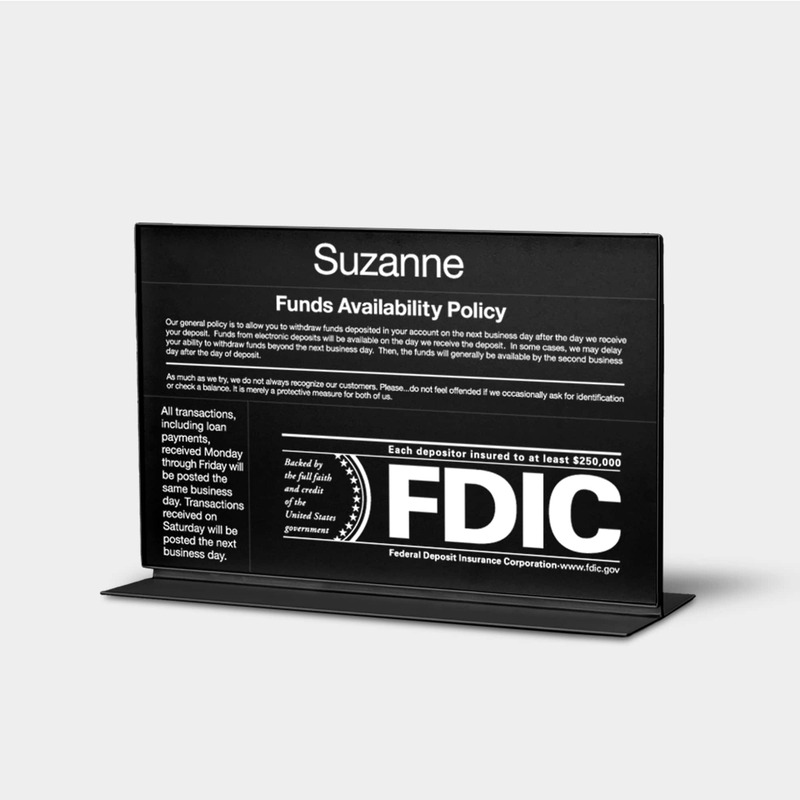 The components fit into our durable one-piece metal frame.